Home Decor Tip: Hallway Study Space! No place for the kids to do their homework? 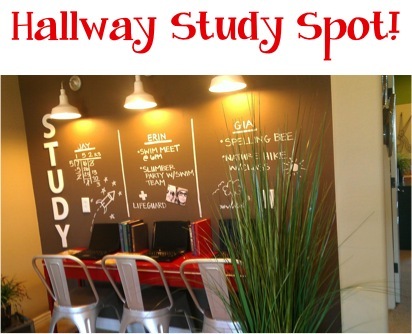 Problem solved with this Hallway Study Space tip! Short on space? Don’t forget this simple Home Decor Trick: put those hallways to use with a Hallway Study Space! Maximizing every nook and cranny is a simple solution to increasing functionality in your home. Even a hallway can be turned into a study space! Chalkboard paint will turn it from drab to fab! Give your home a gorgeous makeover with these Easy Designer Home Decor Tips and Tricks! Nothing beats coming home to an organized home! Put these Home Organizing Tips and Tricks to use and you’ll love the results! It’s true… you can LOVE your house and save BIG all at the same time! Are you ready to start saving? Check out these affordable ideas and frugal hacks for your home. Frugal Girls LOVE great deals! 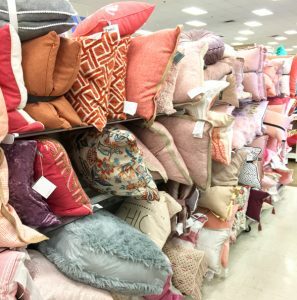 Before you shop, check out these Insider Tips + Shopping Hacks that will save you so much money at your favorite stores!! 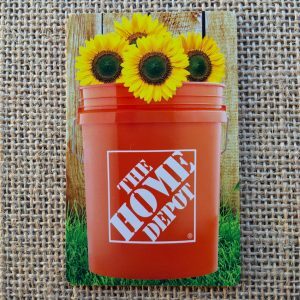 Today I want to show you 3 easy ways to score Free Home Depot Gift Cards, to make sure you can enjoy as much free DIY as possible! Got a Home Decor Tip or Trick? Making small spaces interesting is a challenge but highly achievable without costing a small fortune. I am moving to a new home where space is an issue and the budget is set! No problem as I have been collecting gorgeous items from charity shops and store sales which are going to make the new home look fabulous. You can as you say decorate a room with little cash. It just takes a bit of imagination and trekking through a lot of places where a bargain is waiting to be found. Did I mention how much fun you will have doing it! I love your concept and frugal ideas.